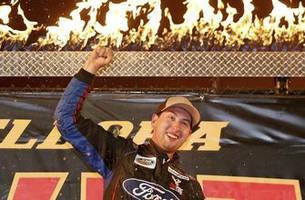 DAYTONA BEACH, Fla. (AP) — Austin Hill blocked his way to his first career Truck Series victory in a crash-marred season-opener Friday night at Daytona International Speedway. 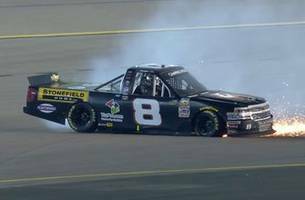 With only nine of the..
NASCAR Camping World Truck Series Highlights: John Hunter Nemechek spins out from the lead trying to hold of Grant Enfinger. 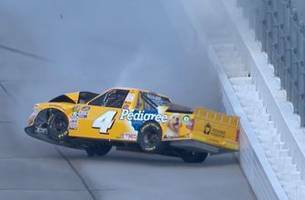 NASCAR Camping World Truck Series Highlights: Todd Gilliland makes contact with Grant Enfinger and goes hard into the inside wall. 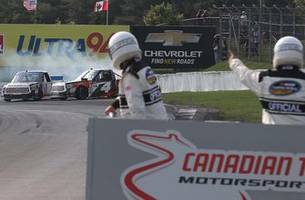 Before the Truck Series race in Canada, Grant Enfinger and Justin Haley told Daryl Motte how they thought the race would play out, and they were right. Chase Brisoce sits down with 'NASCAR Race Hub' to talk about his thrilling finish with Grant Enfinger at Eldora.